Every rock star needs to look cool and these animal print inspired fashion accessories from ACCESSORY ZOO (my wife's business) are grrrrrreat! This is my website for Film and Television work as an Art Dept Coordinator and organiser of art exhibitions. http://www.cancerqld.org.auJohn is a proud supporter of Cancer Council Queensland and their 'Relay For Life' events. Back in 2008 he performed at Carrara Stadium on the Gold Coast to around 1500 people who attended the event. Check out this website supported by global Live8 concerts to raise awareness of the plight of 30,000 Africans dying every day. Good enough for Bob Geldoff - good enough for me. World Vision site. Make a positive difference in the world - sponsor a less fortunate child. Al Gore's website and movie 'Inconvenient Truth' is not doom and gloom - instead it's a key to open the door to a cleaner future for this planet. Australian Conservation Foundation (ACF) is committed to inspiring people to achieve a healthy environment. I watched Prof Ian Lowe, president of ACF speak at a National Press Club gathering in Australia - he's probably the most intellectual, eloquent being this side of the moon. 10 most effective ways to help conserve nature and improve our quality of life. Here’s how you can make positive changes. Wildlife Warriors Worldwide Ltd began in 2002, initially by Steve and Terri Irwin as a way to include and involve other caring people to support the protection of injured, threatened or endangered wildlife. Mount Tamborine Coffee Plantation is a small family owned and operated boutique coffee plantation and roastery specialising in producing high quality gourmet coffee. A combination of plants selected from the world’s finest stock, rich volcanic soil, pure mountain water and high altitude, combined with organic growing principles, makes their beans some of the most sought after in Australia and the world. Independent Event Services. A South East Queensland Sound, Lighting & Stage Hire company I recommend. Official AFL Website of the Brisbane Lions Football Club. I wrote a song for the Lions in 1999 (The Road To Victory) released via Festival/Mushroom Records. Gifts with a difference? Then you've got to check this site out. This is the site you should be looking at for all insider information in the Australian Music Industry. Billboard writer Christie Eliezer’s business news pages. Makes a great home page. A good friend of mine in the film biz - just wrote a book called 'The Assistant' by J.D. Forbes. Action thriller. JD has years of film making experience so I'm sure the book will be a best seller. Sick of trying to find box sets of your favourite movies, directors, tv shows. Try these guys. Personal friends of mine and people with decades of experience in the film industry. Caustic Truths is a 14 year old music magazine distributed in Canada and select US locations. (and online) They were kind enough to include John Harley Weston on their links page in reference to a Paul Rodgers story they were running. Scottish information - for those in Australia and outside Australia. If your link was here and is now missing please let me know! Frontier was John's old band in the UK. They were signed to Phonogram alongside Robert Plant, Texas, Dire Straits. 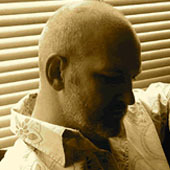 Official website of Eugene Intas, a Film and Television Production Designer, Art Director, Set Designer that I work with. His showreel slideshows feature some of my music. Brian Cunningham - Scottish songwriter/guitarist (I used to play with this guy in the band 'Frontier' signed to Phonogram UK). 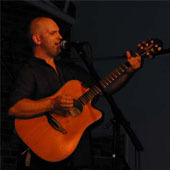 From subtle acoustic pieces to powerful melodic rock. He's also been sound engineer on some big projects and has an ebook with insider information used by world reknowned producers on hit records. Harry Manx - built the bridge between Eastern and Western music - musician/songwriter. A master of powerful songwriting without the use of a heavy hand. One of the finest Scottish music exports, Glasgow based musician singer/songwriter Carol Laula. Think Joni Mitchell meets Joan Armatrading. Australian musical icon based in Queensland. John 'Swanee' Swan is not only a great songwriter, musician & performer but a cool guy who once said to me 'The best way to help yourself is to help other people'. His brother is Jimmy Barnes, his brother in law is Diesel. With dozens of gold records and pedigree to boot, check him out. Scottish band Wet Wet Wet - John supported them on one of their U.K. stadium tours. The Wets are still touring/recording and in 2008 scored their 13th top 10 hit. Great blokes! Paul Rodgers , Free, Bad Company, fan website. Rock, Blues & Roots at it’s best. If you want to learn to sing listen to Paul Rodgers. He’s recently been touring with Queen. White Stripes & Wolf Mother still listen to these guys with ears wide open. Legendary ‘Free’ drummer – we all like a good feel (pun intended). Simon’s a drummer, songwriter, guitarist, singer, keyboard player….talented man. 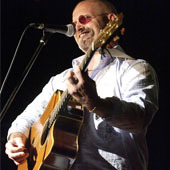 Melbourne (Australia) musician voted best Jazz/Bluesman in the world by the people who know. Unisong International Songwriting Contest. Seriously talented alternative country singer/songwriter. Check out her song 'Bones' - a major radio and film friendly song - think Twin Peaks sound track. Quality British pop from London act Three Blind Mice. Won Unisong World Songwriting Contest 2005 (social/political category). Great songs, musicians, vocals & production. 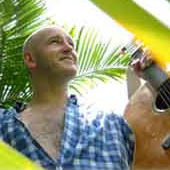 Australian songwriter who can see the big picture. From contemporary styles - pop thru ethereal to techno Kitana inspires in her quest to right the classic song. 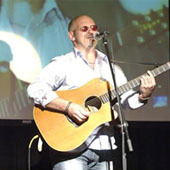 Impressive Beaudesert Shire country singer/songwriter with stunning presence and talent to boot. Her track 'Crying My Heart Out' is a pure country hit. 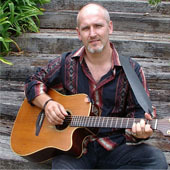 Probably the only guitar teaching website you will ever need, operated by acclaimed Australian based Canadian guitarist Kirk Lorange. This really is enlightening! As well as a very well priced teaching package there is loads of great free information on this site; for beginners, intermediate and advanced, all guitarists will learn something from Kirk. Recording is the middle ground between art and science. When recording my new album at my home studio I started looking for tips online from great engineers. Came across Khaliq Glover (Los Angeles based Grammy award winning recording/ mixing engineer for Prince, Justin Timberlake, Herbie Hancock, John Mayer, Christina Aguilera, Stevie Wonder, Santana, Sting, Marcus Miller). At link above Khaliq shares secrets of how to record great music. A must read for anyone who is recording their own material. Do you want your website's link here? Use the contact page on this site!